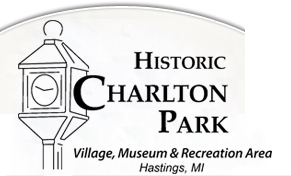 Historic Charlton Park's Rental of the Mini-Shelter West for a picnic/event runs from April through October. The facility holds 50 people seated at picnic tables. A handicapped-accessible portable toilet is located near the shelter. No electric or running water is available. The rental fee is $75.00-$100.00 for the day. Only one picnic/event can be booked per day at the Mini-Shelter West. Please call the Park office to check availability or fill out our Reservation Request Form.